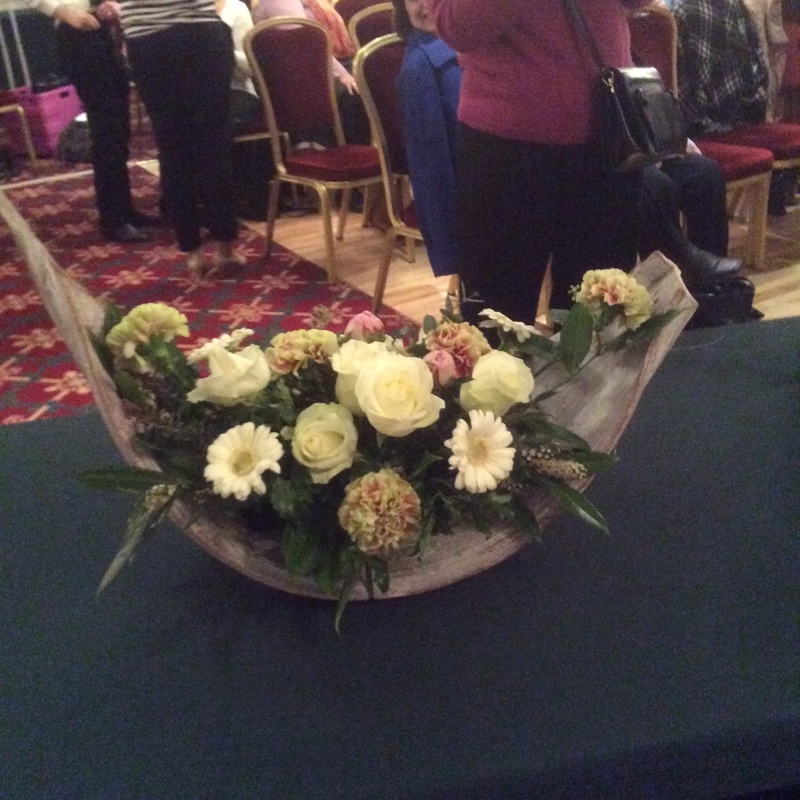 Presented a demonstration for Sutton Floral Art group this evening . Lovely location and a lovely audience . 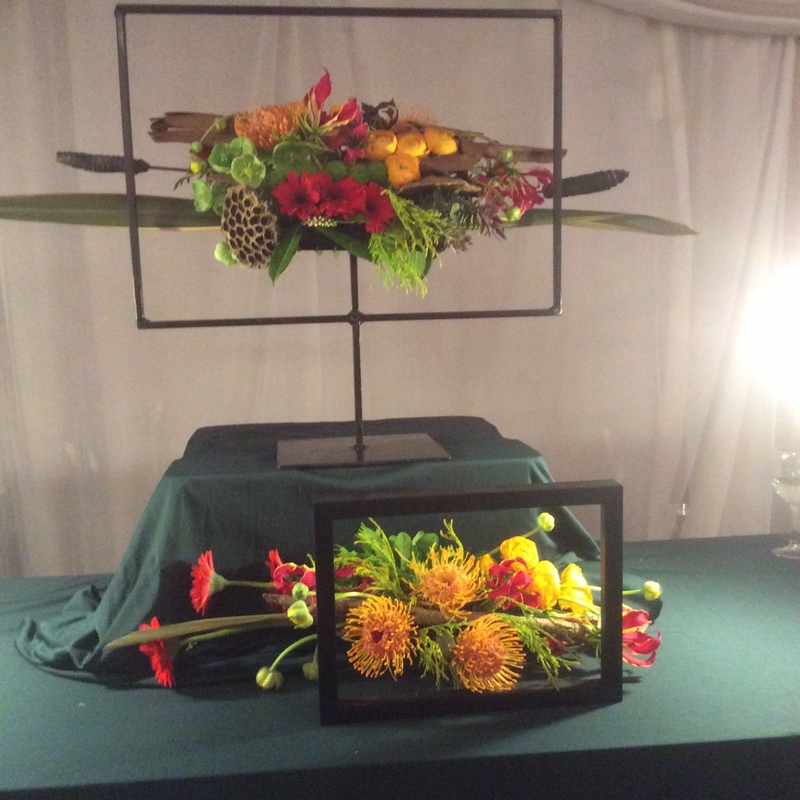 Off to Sutton on Wenesday to do a demonstration for Sutton Floral Art Group. 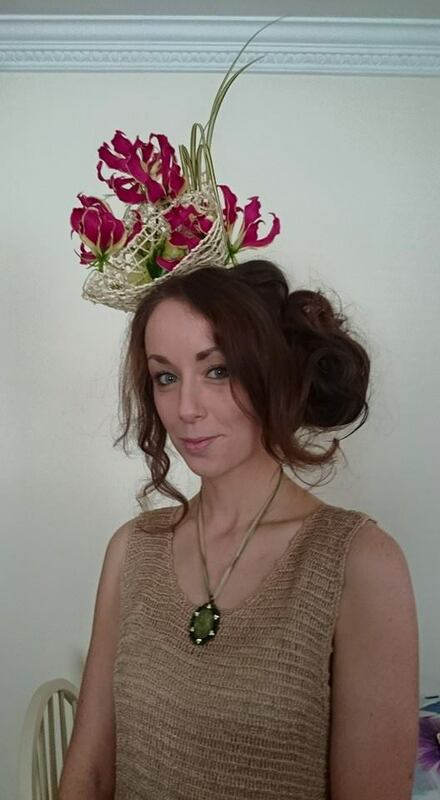 Busy week ahead as I also have three hats to make for Ladies day at Punchestown Races . Next weekend I have a Birthday Workshop for a lovely lady and her three daughters . 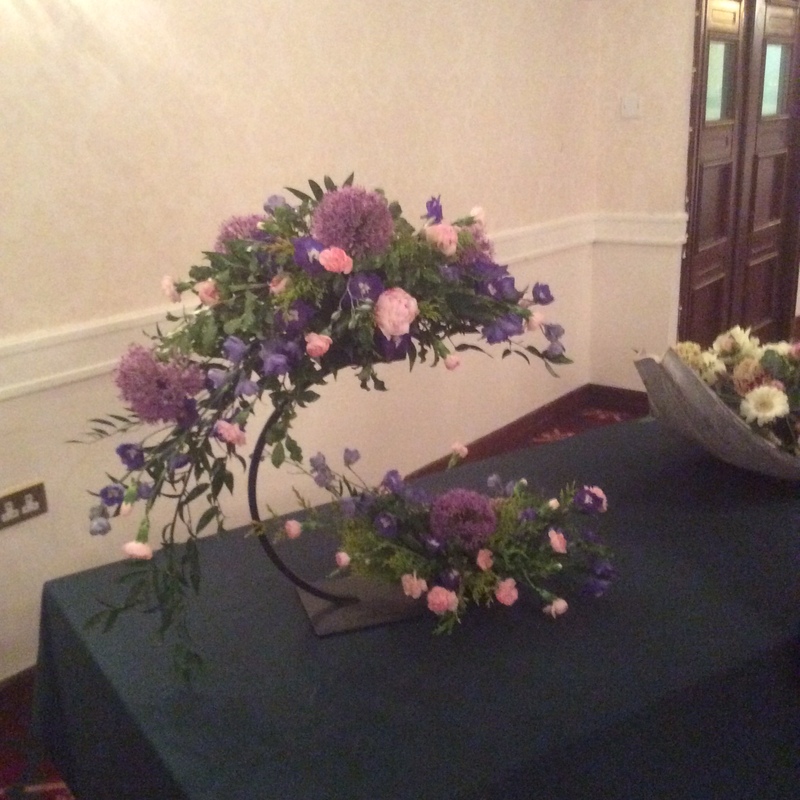 They are all beginners, they will go home with a vertical design for the hall table and a traditional table centre. Tea/ coffee and homemade scones at interval and a little birthday cake for Mum . Should be fun . So a busy week and I will post photos when they are ready . Had great fun making the hat. Would be a lovely idea for a bride , bit different from the norm . Be assured my flowers come from Holland and no animals in danger!